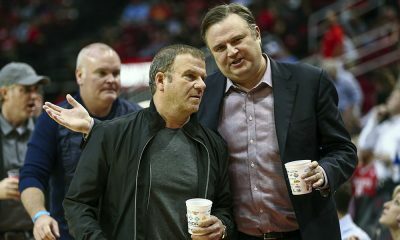 It’s great to have the Houston Rockets back. 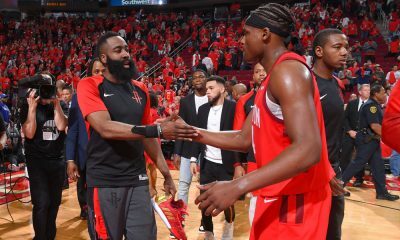 It was just the preseason opener, but there was a lot to take away from Houston’s 131-115 win over the Memphis Grizzlies in a Rockets “home game” played in Alabama. If you watched Chris Paul last night, you were probably like me and had about 40 expletives running through your head. The Rockets lost a megatalent like this for Games 6 and 7 against the Golden State Warriors and still could/should have won that series. It kills you to think what could have been, but it also should give you hope because my goodness, Chris Paul is an absolute terror on the court. He scored 22 points, hitting 5-6 from long range, to go with nine assists and five steals. It’s borderline criminal that opponents have to deal with Paul or James Harden at all times. 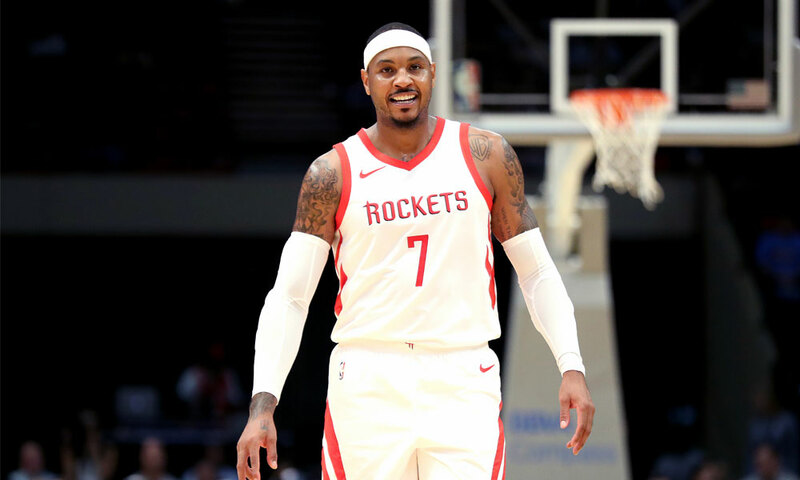 You will probably read several reports this morning fawning over Carmelo Anthony as a Rocket. Indeed he played well, scoring 13 points and hitting 3-6 from long range, but this was just one preseason game so I’m not going to jump to the obvious conclusion that he’s going to fit in perfectly. However, what I feel safe in saying is that Carmelo has absolutely bought in on the Houston system. We saw him finding corner spots as the team spreads the floor to let Paul or James Harden operate. He apologized to the bench for going all “mid-range” as he ran back up the floor after passing on a three to take one step in and hit a 19-footer. For crying out loud, we even saw Carmelo setting screens to free Paul. 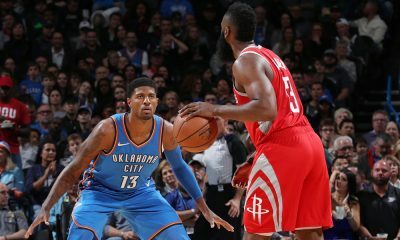 There’s a lot to the Rockets’ system that requires players to do their part off the ball and he was doing that Tuesday night. Again, this was one preseason game, but it looked to me like he played for “we” and not “me”. Ennis only played 19 minutes, but he very much looked the part of a guy who could fill one of the voids left by Trevor Ariza or Luc Mbah a Moute. He scored eight points on 3-5 shooting, hitting his only triple attempt, while picking two steals. He’s active defensively and loves to get out and run — this was really illustrated on back-to-back possessions in the first quarter. There’s a lot to like about Ennis in Houston. Let’s see how he knocks down the three ball, but I think he’s going to fit very well. Harden looked a little rusty (8 turnovers in 30 minutes) and he has in many preseason games before. Just the same, he put up 20 points and hit 4-10 from deep. Safe to say, he’s going to be fine. Chriss was 4-4 from the field and a +20 in his 17 minutes. Impressive, right? I know I’m not going to gain any brownie points for this but man… Chriss has a lot of work to do. You can see all the reasons he was drafted with the eighth pick of the 2016 Draft — he’s big, athletic, mobile and he can get up quickly. He showed promise as a rim-runner and was aggressive in attacking the basket on pick-and-rolls. At the same time, he looks raw and lost at times. 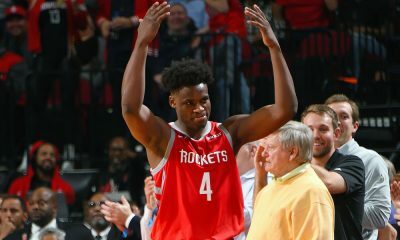 He reminds me of a rookie Clint Capela with a little less upside. I think it’s going to take some time for him to develop and learn how the Rockets play, specifically on the defensive end. But the Rockets keep it simple so there’s reason to be optimistic that he could eventually fill a backup center role to Capela. My personal hunch is that his trade value is what is most important to this team right now so if his potential is getting showcased, that’s a good thing. Strong debut for Carter-Williams, who scored 19 points on 5-6 shooting, getting to the line for 11 free throws (knocking down nine). Be an active defender, get out in transition, attack the basket, run a backup point — these are the things that MCW does well and they were on display in the opener. 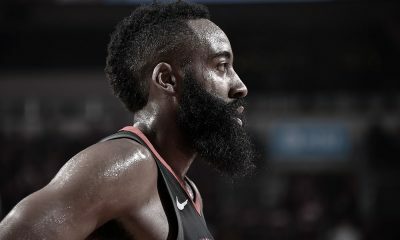 He’s been heavily criticized throughout his career for the things he can’t do — like shoot from distance — but the Rockets were never looking for that from him when they signed him. They aren’t asking him to be an offensively-polished 30-minute-a-night player. I’m unclear on the minutes that we can expect MCW to play this season, but when they need some lockdown defense on the perimeter (see: Curry, Stephen), this is a guy Mike D’Antoni can turn to in short stints.